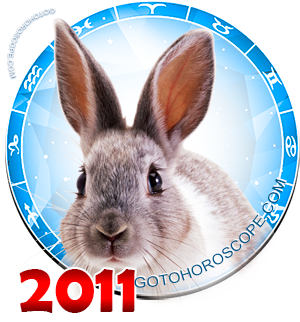 November 2011 Horoscope Capricorn, free Monthly Horoscope for November 2011 and Capricorn Astrology Forecast for the month ahead. 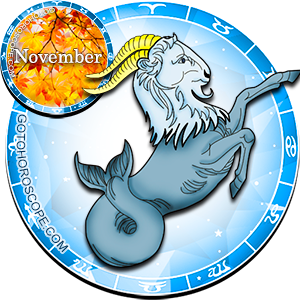 Capricorn will find plenty of time for rest and relaxation during the month of November, and that is a good thing. You can only run at top speed for so long without taking some time off for yourself. This down time will give you a chance to relax, regain your strength and take stock of your current situation. This may be a good time to plan a short vacation or holiday to a nearby resort area. Check into a bed and breakfast and allow yourself to be pampered a bit for a change. You'll find the time off has myriad rejuvenating benefits. If you find yourself feeling overwhelmed and crowded, especially during the first two weeks of the month, allow yourself a little "me time." Everyone needs some privacy once in a while and you're no different than most in this regard. Depending on your living situation, getting a little time to yourself could be as easy as closing a door, taking a long walk or going for a drive through the countryside. Regardless of the method you choose, you'll be happier and more productive overall if you get away from the madding crowd for a bit. The first half of the month also may bring a new romantic relationship, or possibly a platonic one, depending on your current relationship state and overall attitude. If romance is on the agenda, you'll find yourself growing closer to this new person in a short amount of time. So short, in fact, that you may feel the relationship is being unnaturally rushed. If this is the case, simply be open and honest with your new partner, step back, take a deep breath, and move forward at a more relaxed pace. Any new relationship requires a little groundwork in order to establish the "rules of engagement." 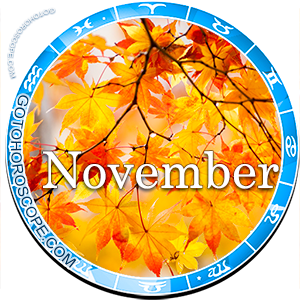 You'll be gazing inward during the last to weeks of the month. It may have been a while since you took stock of your own personal beliefs, relationships and ideals. Now may be the time to investigate alternate ways of thinking and try new things. While doing so, however, make sure you do not throw the baby out with the bathwater. Until you have thoroughly investigated your new philosophy or religion, do not completely disregard any beliefs you may have carried with you for years. Both points of view, you may find, offer benefits to your daily life. The last two weeks of the month may be spent analyzing past mistakes and making plans to not repeat them.